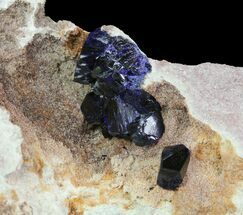 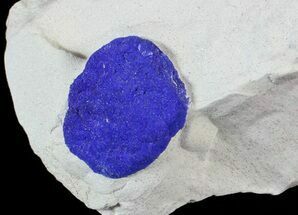 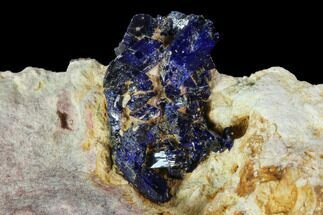 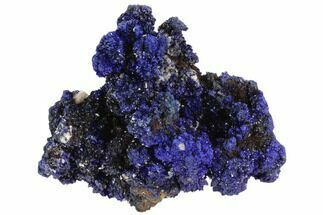 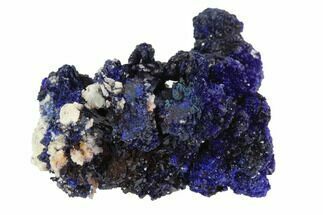 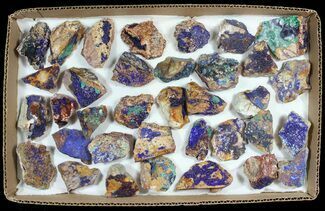 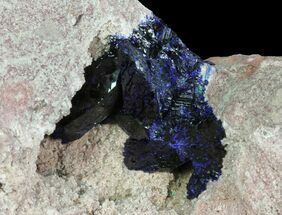 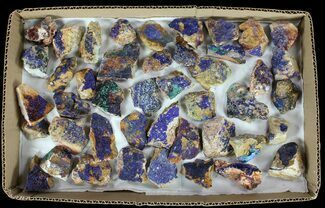 Azurite is characteristic for its deep blue, to violet-blue like colors. 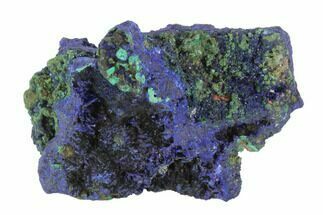 It's a copper based mineral, with a chemical composition of Cu3(CO3)2(OH)2. 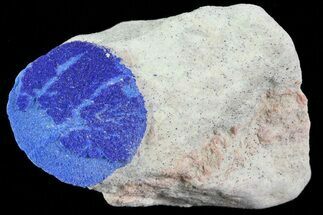 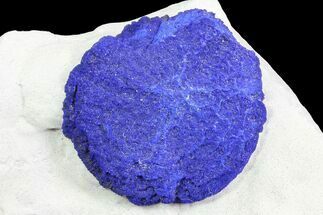 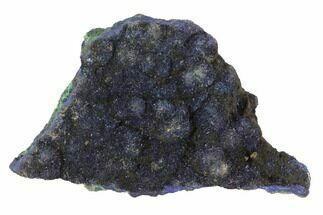 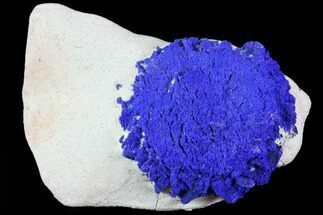 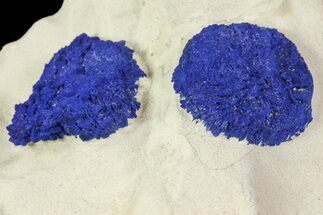 Azurite usually forms when carbon-dioxide-laden waters descend into the Earth, and react with subsurface copper ores. 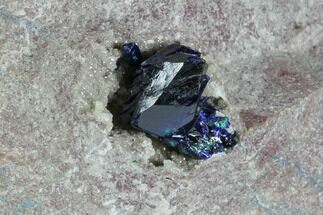 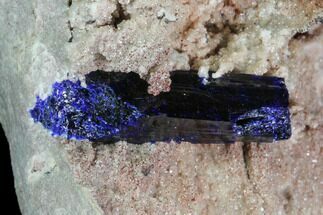 A precipitation like effect causes azurite to form in cracks, pore spaces, and cavities of subsurface rocks. 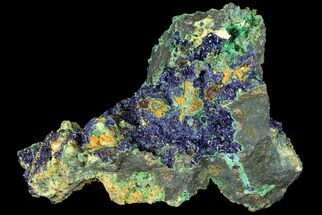 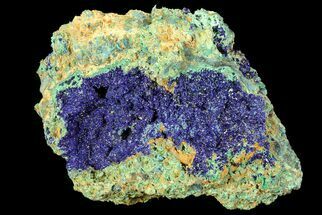 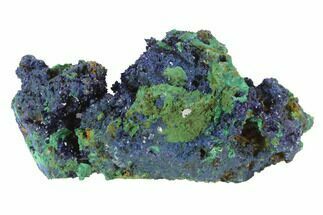 Azurite typically forms in nodular formations along side its copper based relative, malachite. 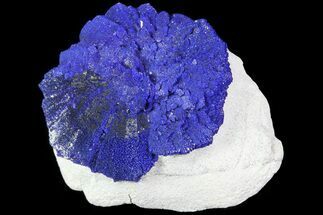 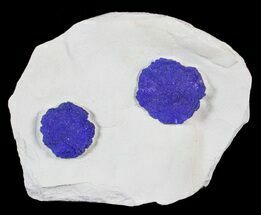 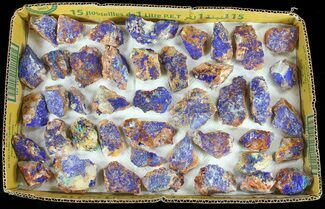 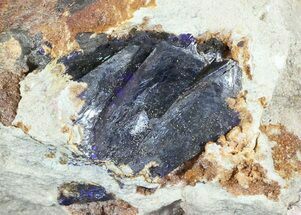 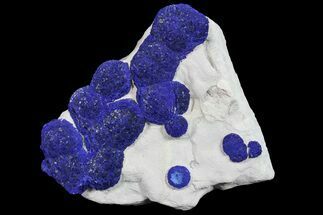 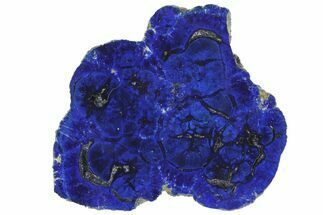 Stalactic, botryoidal, and well-formed monoclinic azurite crystals have also been found, however more infrequently than nodular.